MERCATOR, G./ HONDIUS, J. - Hollandia. Hollandia. - MERCATOR, G./ HONDIUS, J. Size : 5.2 x 7.5 inches. / 13.1 x 19.0 cm. 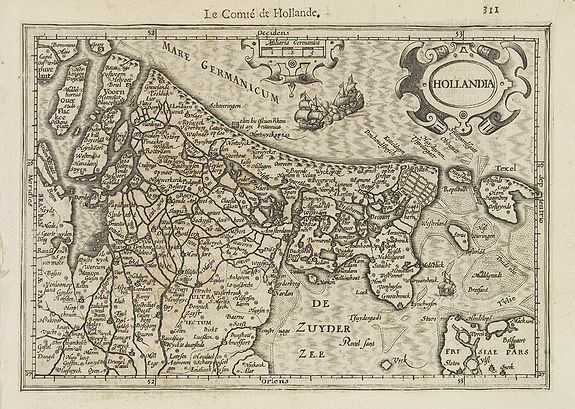 Description :Small map of the province Holland, with strapwork title cartouche and scale of miles cartouche. Condition : Paper slightly age toned. Some browning in the central left part.